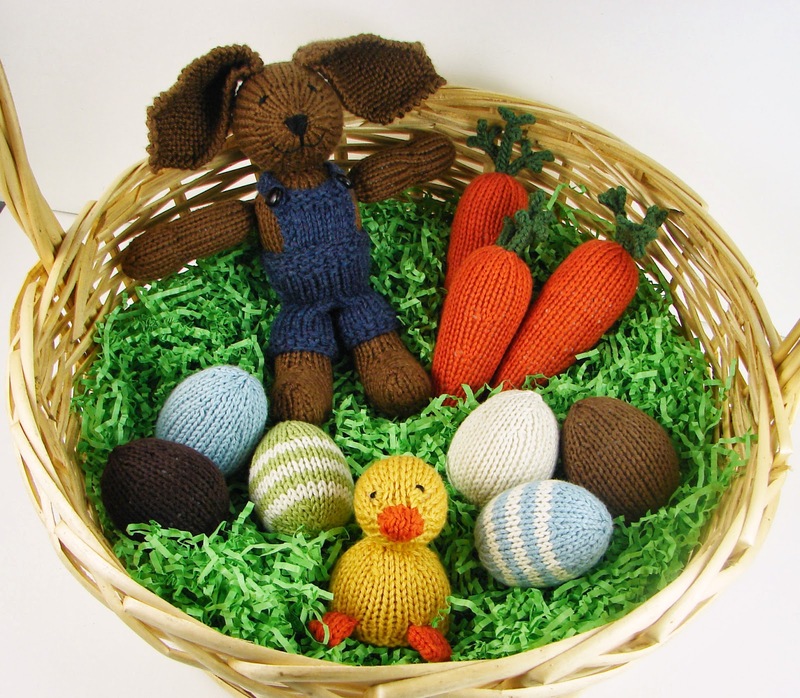 Last year I posted about an Easter basket full of knitted things. It was absolutely lovely, but very girly. So this year I wanted to make one that was more boy friendly. 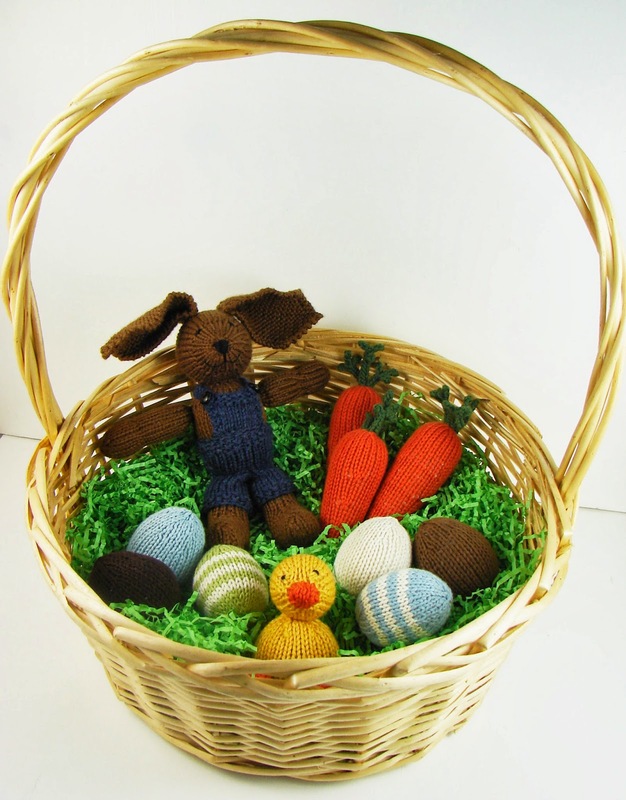 This basket has a bunny in overalls, some carrots, several knitted eggs and a reversible duck and bunny toy. The bunny is the same Debbie Bliss pattern (from her book Toy Knits) that I used last year, except in a darker color and wearing overalls instead of a sundress. The eggs are also the same pattern that I used for the girl's basket, but I used blue, green, white and brown. Instead of the chicks that I used last year, I added the reversible duck and bunny toy, a free pattern from Susan B. Anderson. It is a very fun, quick and easy knit. And instead of flowered hair clips, I made the knit carrots. Most of these items are currently available in my Etsy shop. I have also been editing the Easter egg pattern and will post it as a free pattern soon.